Frederick G. Nyren, 89, of Southington, passed away peacefully on Saturday, April 13, 2019 at the Jerome Home in New Britain. He had been the loving husband of Lita (Nelson) Nyren for nearly 65 years. Born in Middletown to the late Gideon and Hildur (Gustavson) Nyren, he had been a longtime Southington resident. Fred proudly served in the U.S. Army in Japan during the Korean War. He worked at Nyren Brothers Florist and A. N. Pierson Inc. After his retirement, he worked as a real estate agent for the Putnam Agency. He was a longtime active member at the First Congregational Church in Southington. He was also active in the Orchard Valley Garden Club. In addition to his wife Lita, he is survived by one daughter, Beverly Siegler and her husband Bob, three sons, Steven Nyren and his wife Shelley, Ken Nyren and his wife Sue Sampl, Ron Nyren and his wife Sarah Stone; six grandchildren, Anne and husband Stephen, Aaron, Daniel and wife Shannon, Demonica and husband John, Pauline, and Trevor; five great-granddaughters; his brother, Roy Nyren; and many nieces and nephews. He was predeceased by his brother, Bob Nyren and sister, Virginia Burr. Memorial gifts in Fred’s memory may be made to the First Congregational Church, 37 Main St., Southington, CT 06489. A memorial service will be held at a later date. Plantsville Funeral Home has been entrusted with handling the arrangements. 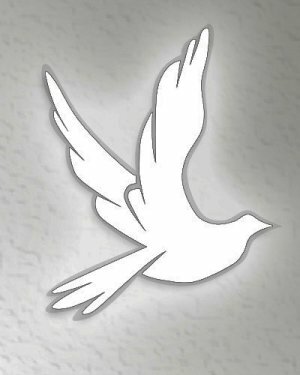 For online condolences, please visit www.plantsvillefuneralhome.com.